Large 1.1 Acre lot in the Sugar Loaf township of Taylorsville NC! Nice back yard with fencing and an large deck. This Lovely home offers 3BR 2BA, a large living room & dining area, updated kitchen with SS appliances, Lg pantry, master BR with WIC, large master bathroom with a soaking tub & stand up shower! The two secondary BR's share a good sized second bath. The home has had updated paint, updated appliances, roof replaced approx 2 years ago, updated flooring & more! If you are looking for a one level home with a fenced back yard in a quaint area be sure to put this on your "to view" list! Sugar Loaf is a small community in the northern part of Alexander County. This area is convenient to Taylorsville and Wilkesboro. 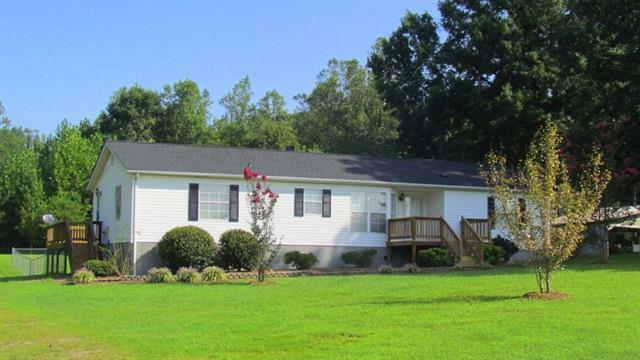 This home is only a few miles from the Sugar Loaf Elementary school. This is a must see! 1137 Jolly Cemetery Rd. Taylorsville.